Create a one-time adventure as you and your guests enjoy the world famous San Diego Zoo like no one else. We begin our tour as we are greeted by our private guide followed by a private 3 mile guided bus tour, venturing into an off-site exhibit and enjoying a very exclusive view of how the zoo is preserving our world. Upon completion of the tour, you will have free time to explore the biggest zoo in California. There's no place in the world like Sea World San Diego. Where else can you challenge the thrills of Journey To Atlantis� one minute and touch a dolphin the next? Take in numerous attractions, exhibits and shows, including Believe -- the visually stunning Shamu� show that will take you on a sensational, breathtaking journey of curiosity and wonder. You will also see Shamu in a different light as his high-energy nighttime show, Shamu Rocks, debuts this spring. Touch a world that touches you at Sea World San Diego. Come aboard to the San Diego Wild Animal Park, an 1,800-acre wildlife preserve where 2,200 animals roam free over vast expanses as they would at home in Africa, Asia or South America. Photo Caravan Safari trucks take you right into the heart of Field Exhibits, offering a rare way to spend time with and learn about animals, not to mention a phenomenal photo opportunity! Your guide, an animal expert, will illuminate the ongoing drama, accompany you on a voyage of discovery and help you snap great photos! Drivers are trained in situating the truck near the animals for the best photographic lighting conditions. You will have unlimited access to the park, including a 50 minute monorail guided tour through the diverse free range area and access to shows. You can also tour the park at night when most animals are more active. Did you know San Diego has a wine country located north of Downtown San Diego? We will travel to learn about the local wine making process and the different types of grapes grown in the region to create the perfect wines. We will visit the Orfila Vineyards & Winery where we will enjoy a picturesque view of the mountains and vineyards while enjoying five wine tasting along with a complimentary souvenir logo glass. Afterwards, we will travel to the Bernardo Winery, which is hidden away in the hilly countryside and was once part of a Spanish land grant. This rustic facility is one of the oldest operating wineries in Southern California. We will do some more wine tasting with a complimentary take home souvenir and a lunch pairing with the local wineries. Come along as we visit three of San Diego's best beaches. Coronado, recently named one of America's best beaches by the Travel Channel, is our first stop as we cross the Bay Bridge and find historical sights such as the Hotel Del Cornado. We will travel next to the beach and have an opportunity to take a group shot on the sand. After our beach experience, we continue on to Pacific Beach. This beach is a surf community located between the Pacific Ocean and Mission Bay Park. You can explore the boardwalk or walk the wooden pier which houses a unique hotel. Then it's off to our last stop, Ocean Beach which has a collection of funky apartments and quaint bungalows. Come walk the Ocean Beach pier which is the longest concrete structure in the West Coast and see famous local landmarks along the way. Explore the unexpected as we explore Balboa Park. Balboa is the largest urban cultural center in the West Coast housing over 18 different types of museums. The park covers a whopping 1,200 acres and is minutes from Downtown. There are over 85 cultural and recreational organizations along with the Old Globe Theatre, which is a Shakespeare inspired theatre. Upon arrival, we do a brief walking orientation tour highlighting the Neo Spanish Classical architecture and museum. Each guest will receive an audio self guided walking handset highlighting the park's history, horticulture treasures, and architecture set at his/her pace. Enjoy an educational visit to 3 museums of your choice ranging from the Art, Natural History, Automotive, Aerospace Museums and others. 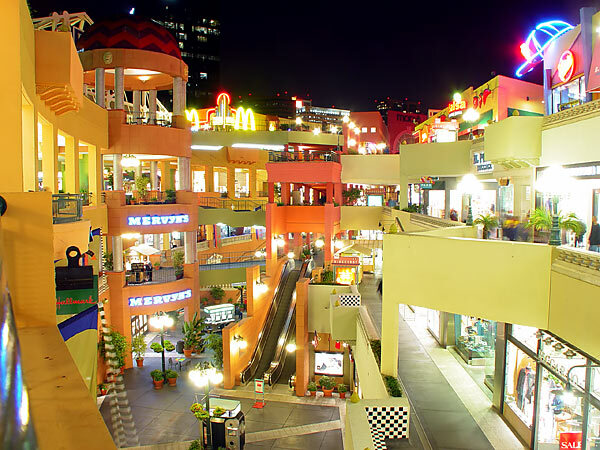 THE SHOPS AT LAS AMERICAS is the largest fashion outlet center in San Diego. Here you will find California's only Neiman Marcus Last Call, as well as Polo Ralph Lauren Factory Store, Coach Factory Store and more than 125 stores and restaurants. Stroll through the center's beautiful courtyards equipped with fountains, statues and elegant architecture. Enjoy savings of up to 70% off! Welcome aboard as we explore the Maritime Museum of San Diego and take a 1 hour harbor cruise along San Diego Bay. Join us as we discover an extraordinary interactive experience. We will visit the Star of India which is the oldest ship in the world that still maintains a regular sailing schedule. On board, you will find exhibits chronicling her career as an immigrant ship and commercial vessel. We then explore the B-39 Soviet attack submarines. We get the opportunity to go inside and see how the Cold War played its history in the new world. Then it's off to discover the beauty of San Diego by going on a 1 hour harbor cruise. Discover a town that has grown to become Mexico's fourth largest city because of it's dynamic and changing environment. Come across the border and tour the famous city known for its new art community and outrageous buildings. Learn about the history and enchantment that draws tourists to this amazing city which houses 4 million people. Come and see thousands of shops lined up waiting for you to make bargains or stay and enjoy drinks along the newly renovated "Avenida Revolucion" known for its famous striped donkey zebras. After the tour, enjoy a beautiful traditional lunch showcasing the city's famous tacos and more!